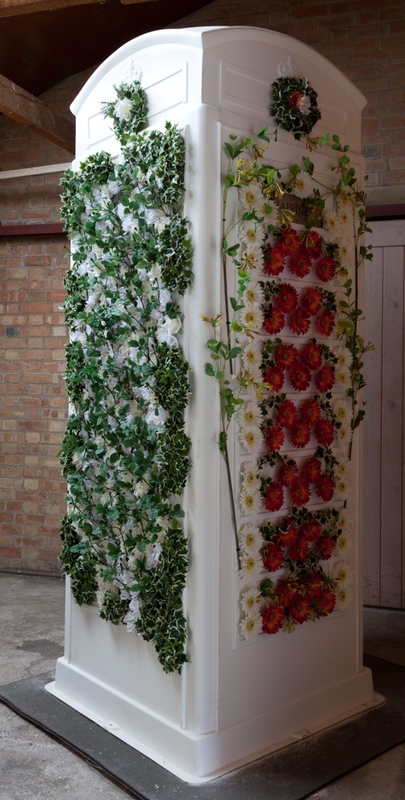 ChildLine is all about communciation and careful use of language, so each wall of my BT ArtBox is a vertical 'Knot Garden' using the symbolic Language of Flowers to communicate a message about childhood. Ivy symbolises Fidelity, Dependence and Endurance, which perfectly describe ChildLine. Each of the 4 vertical 'Knot Gardens' has Ivy framing it like the hedging in a Knot Garden. 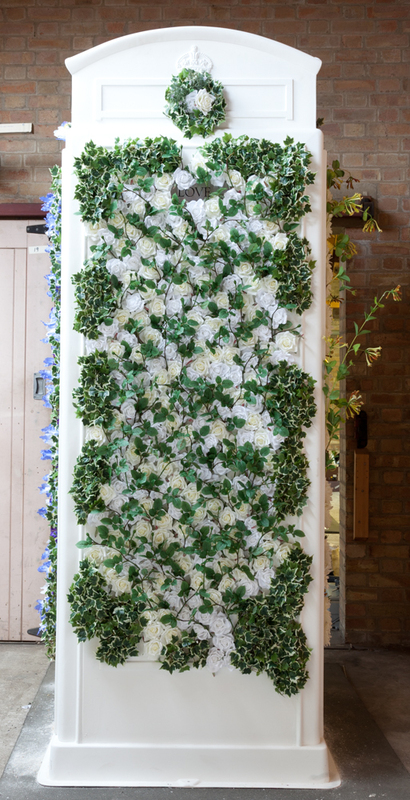 The vertical Knot Garden dedicated to 'Innocence' has a massing of flowers such as white Daisies and Baby's Breath, both of which symbolise 'Innocence'. Again using Ivy as the 'hedging', the wall dedicated to 'Hope' uses flowers such as Irises, and Snowdrops both of which symbolise 'Hope'. 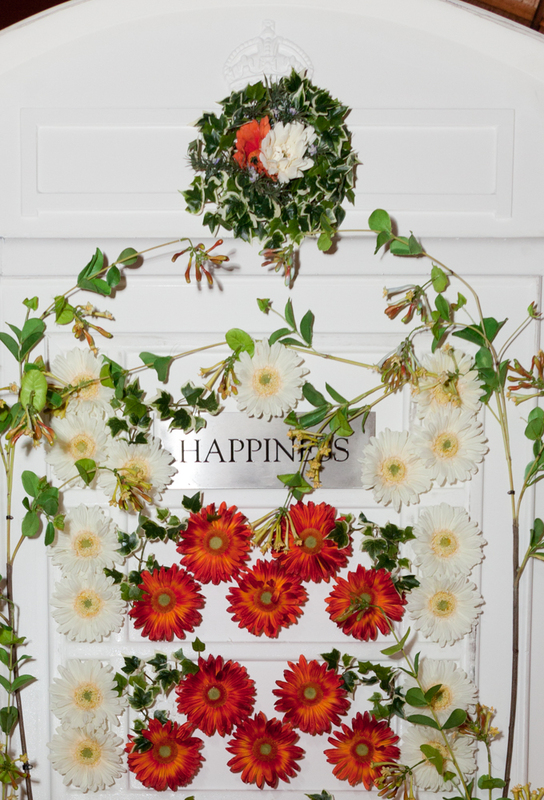 The wall dedicated to 'Happiness' takes the form of an Ivy edged vertical Knot Garden filled with flowers like Lily of the Valley and Gerberas, both of which symbolise 'Happiness'. 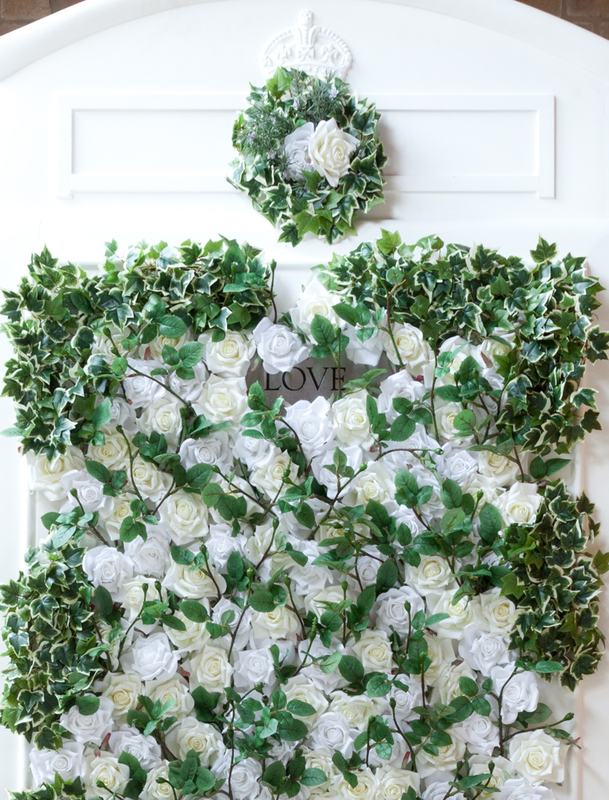 The wall dedicated to 'Love' is a Knot Garden of Ivy and massed Roses which of course symbolise 'Love'. The top of the ArtBox (not photographed) is a joyful mixture of Ivy and the flowers from each Knot Garden as I believe every child's life should be a blend of Innocence, Hope, Happiness and Love. 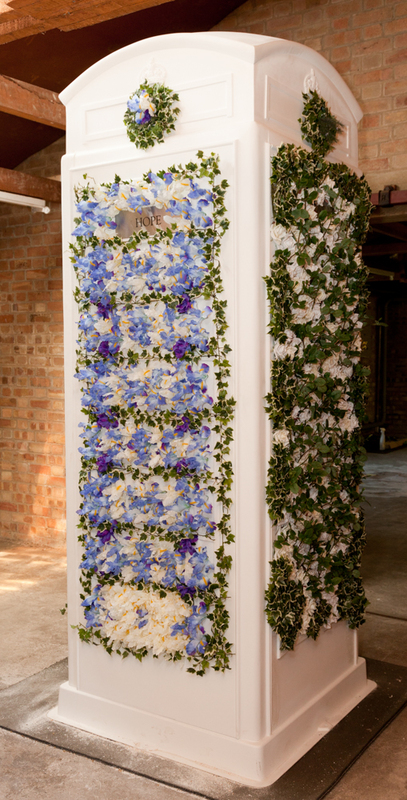 The flowers and the Ivy are encrusted onto the ArtBox to make a very dense 'planting' of differing depths. My aim was to make my BT ArtBox very beautiful. It is about the necessity, simplicity and continuity of communication which is vital to the safety and happiness of a child and ChildLine ensures, thanks to BT's support, that vulnerable children have a reliable place to turn to. I am very grateful to Wendy Smith from W & M Smith at the Pightle Barn in Suffolk for very kindly sponsoring my BT ArtBox by supplying all of the beautiful Silk Flowers and Greenery.